Thanks to modern methods, broken bones are almost always healed with no problem at all. However, all fractures come with the risk of failing to heal – resulting in a nonunion fracture. Nonunions can happen in any bone, but they are more common in the humerus, talus, tibia, and the fifth metatarsal bone. 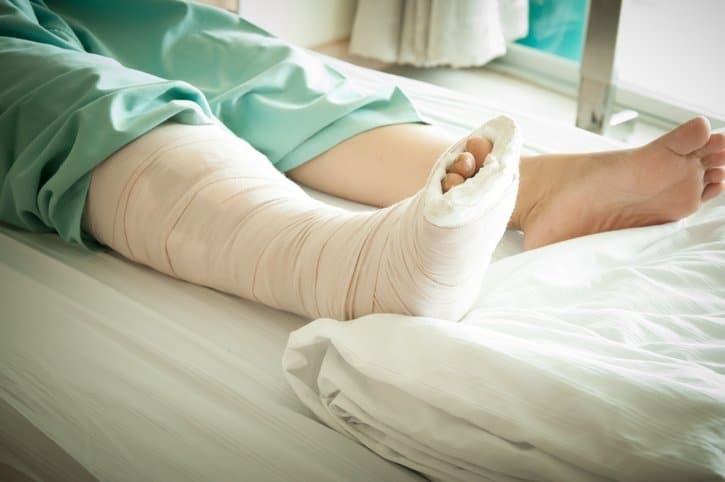 Why do some fractures result in a nonunion? There are a variety of factors that contribute to a nonunion fracture. For instance, good nutrition is required, as well as adequate stability. It is also important to know that if the ends of the fractured bone have been stripped away from the blood vessels, they can’t receive nutrition and will eventually die. When this happens, the bone ends will not be able to contribute to healing and a nonunion is likely to happen. Nonunions are also more likely when the broken bone is caused by severe injuries from a high-impact trauma like a car accident. What are the symptoms of a nonunion fracture? What are the risk factors that increase one’s risk of nonunion fracture? If you suspect or your physician has informed you that you have a nonunion fracture, it is a good idea to have some tests done to know the cause. An infection or a medical condition may be contributing to slow bone healing and by addressing those problems, bone healing is promoted. As for the treatment per se, a patient may choose between a nonsurgical and a surgical approach. Both have their own advantages and disadvantages. There are circumstances when both approaches are appropriate or even necessary. Low-level laser therapy is an option that you might want to consider. Recent studies show that low-level laser therapy, when correctly administered, can help initiate the bone healing process. You can find out more about this treatment option when you visit Sloan Natural Health Center. Give us a call today so we can schedule your consultation!